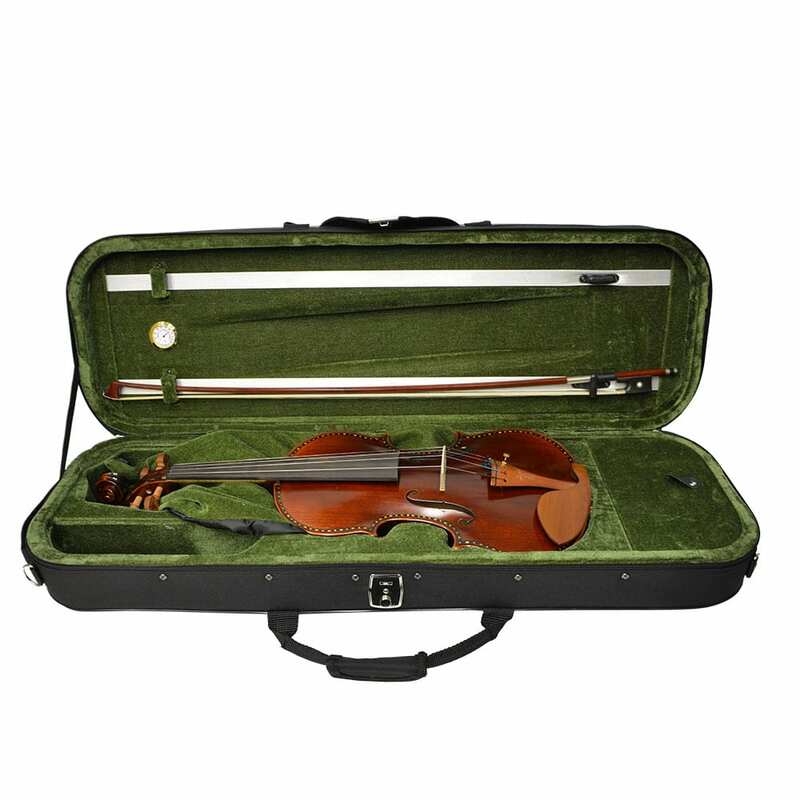 The Sweet Singing Tonal Color along with the wide Dynamic Range make this instrument of great value to the professional player. 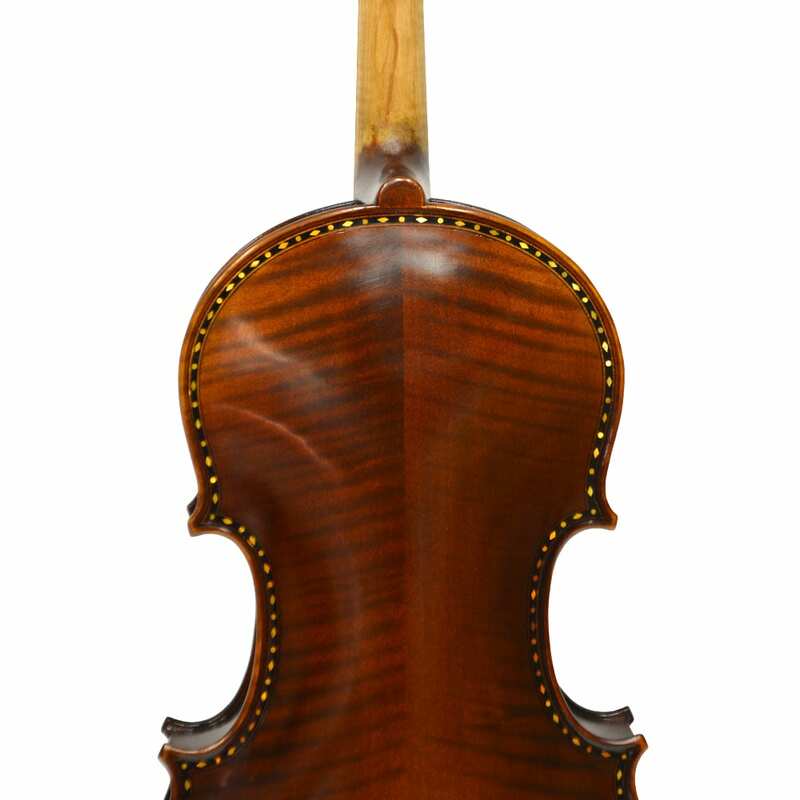 Finished in hand spirit varnish with only the finest Romanian one piece Maple Backs. 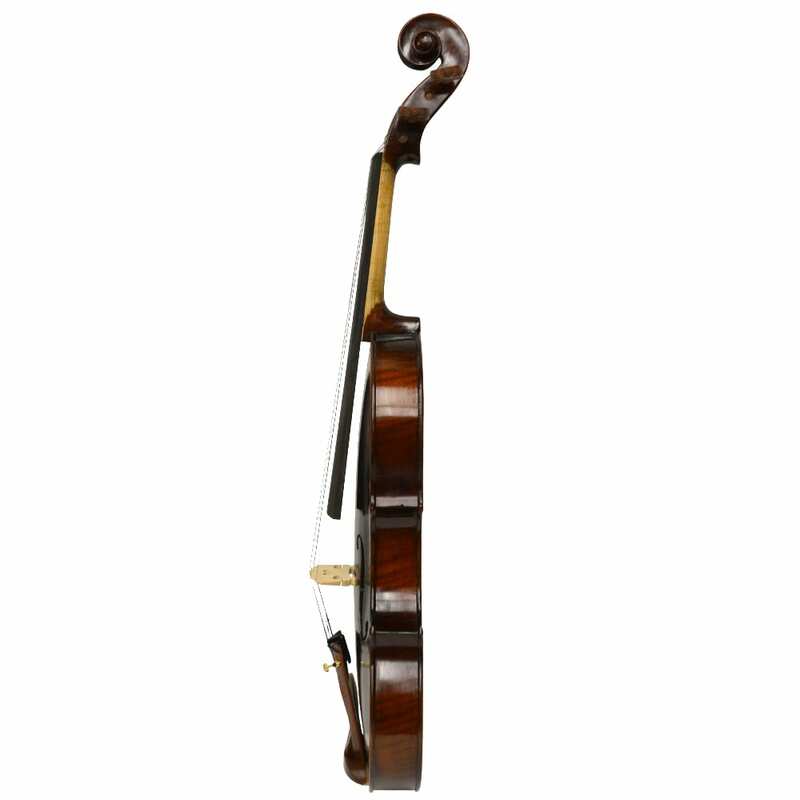 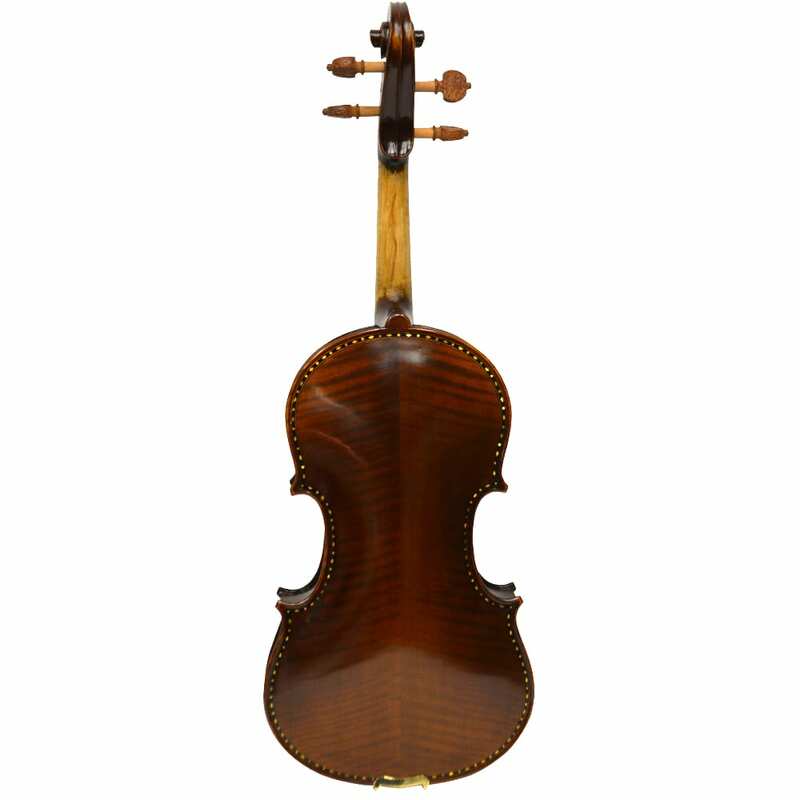 Vienna Strings, as experienced string manufacturers, go beyond the slightly puritanical approach with the Handcraft Model and are of the opinion that violin playing should be an experience for all senses. 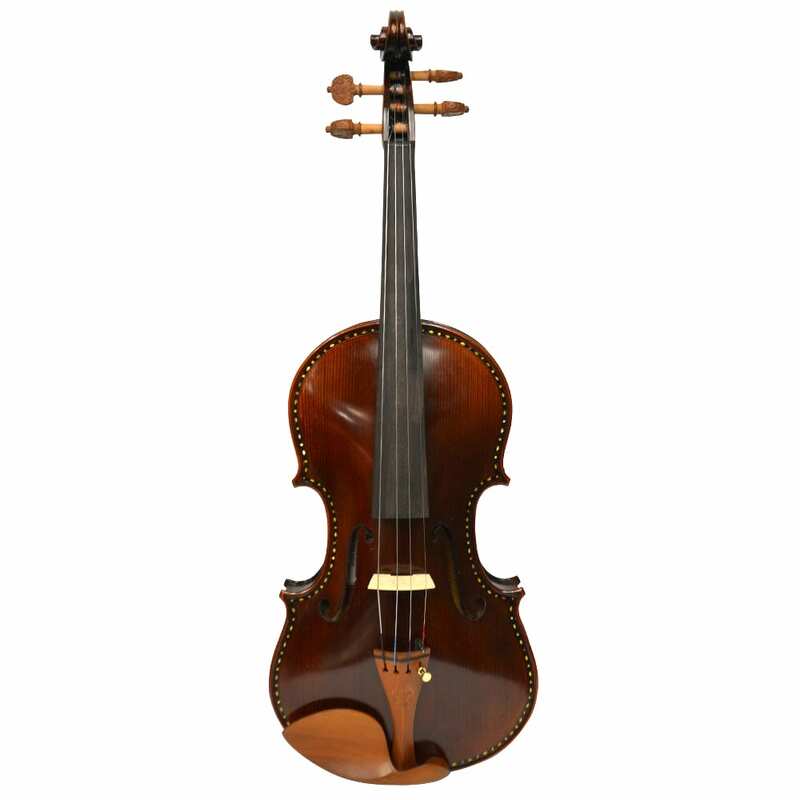 Our Hamburg Handcraft violin, in cooperation with prevalent local artists, is finished with Italian Mother of Pearl Inlay and Japanese inspired hand painted aesthetic sides with carved boxwood tailpiece and tuning pegs.